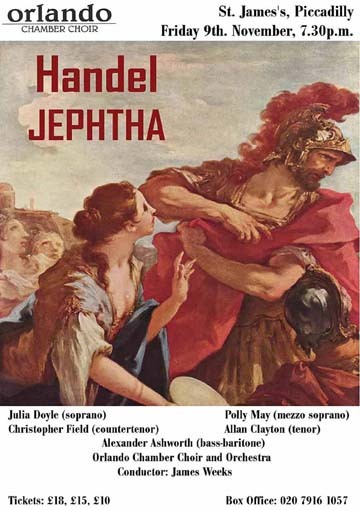 Oppression, triumph, tragedy and sacrifice manage to reach a happy ending in Handel's Jephtha. Directed by James Weeks, the Orlando Chamber Choir and Orchestra bring this colourful Old Testament story to life, ably supported by the superb soloists Allan Clayton, Julia Doyle, Christopher Field, Ruth Massey and Alexander Ashworth. The visionary last oratorio from a composer defying blindness towards the end of his life.